We bring forth an impregnable range of Clamps Range. We manufacture this high quality Clamps Range by making use of premium grade quality raw materials that are procured form reliable vendors of the industry. 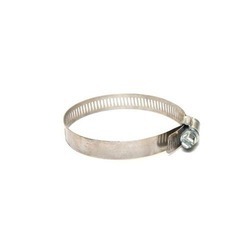 Our company is highly acclaimed in offering a wide range of M.S / S.S Clamps. These M.S / S.S Clamps are widely used in chemical and pharmaceutical industries. Our M.S / S.S Clamps are widely appreciated in the market segments for their key features such as Light in weight; Precision engineered superior finish, high durability and anti-corrosive finish. We have taken up the the initiative of being the First Unit in Eastern India for manufacturing Double Wall Corrugated Pipe High Density Polyethylene (DWC HDPE) Conduit system for Railway, Electrical and Telecom Cable protection under the brand name Telecorr..The major advantages are that it saves in consumption of raw material i.e. 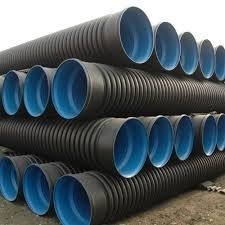 it requires less raw material in comparison to solid wall PVC or HDPE Corrugated Pipes because of its corrugated shape / profile without reducing compression resistance strength of pipe. Looking for Clamps Range ?